I’m so excited. Truly. I am. It’s been months since the last time I taught a class full of students. I know it’s going to be hard but I’m really willing to get back in the swing of things. I’m also preparing material for my workshops, and I have a bunch of work to catch up on, but I’m anyway feeling really motivated. So, it seems I am off to a good start. Some vocabulary you might need to revise/learn when discussing this subject. I don’t think there is a better way to introduce a topic than by showing students a picture that will probably spark interest and hook students into the lesson. That’s the aim of the picture below. Show the picture and listen to student’ reactions. Probably, the first one would be “Me, neither”, but let’s dig in for more profound reactions. Tell students to get into pairs and think of three reasons why this boy wouldn’t want to go to school. Allow them 2 or 3 minutes and the write their suggestions on the board and discuss them. Ask students: Can you relate to the boy in this picture? What can you remember about your kindergarten? In your opinion, what’s the ideal age to start school? Ask students to work in pairs. Write on the board the word “education” and ask students to brainstorm vocabulary related to the topic. Encourage them to mind map to help them revise vocabulary related to this thematic area. Allow them some minutes and get feedback from the whole class. I gave handout 1 to my intermediate students last year, so this year (B2), I will probably need to revise and add the terms in handout 2 explaining difficult vocabulary. In this part of the lesson, students are presented with some confusing terms. Ask them to work in pairs and discuss the questions posed in the flip cards. Award 1 point to the student who has guessed the right answer. Ask students, in pairs or small groups, to answer the following questions about education, where they will revise some of the vocabulary learned in the previous step. Encourage the use of new vocabulary. You can get the PDF with the questions here, but isn’t it more appealing to use the Spark below. Listening. The video: 6 problems with our school system. It is a longish video. It lasts almost 6 minutes so I’d suggest breaking it up and asking students to work on different parts of the video. In the video, 6 problems with our education system are mentioned. This activity will be set as homework. Introduction. In class, play the first 34 seconds of the video and tell students to give you a summary. They will probably say that the video shows how our system of education has become obsolete and is not preparing children for the real world. Ask them whether they agree with this idea. Explain that everybody will need to listen to the introduction again (first 34 sec) which summarizes the content of the video. Tell students the video talks about 6 problems our current education system is facing nowadays. Form groups of six students and tell them that, in the next lesson, they will be working in groups of six and each of them will share what they have learned about their assigned problem and their opinion on whether this is a real problem in their country providing examples, if possible.Alternatively, you can form groups of 3 students and assign each student two problems. 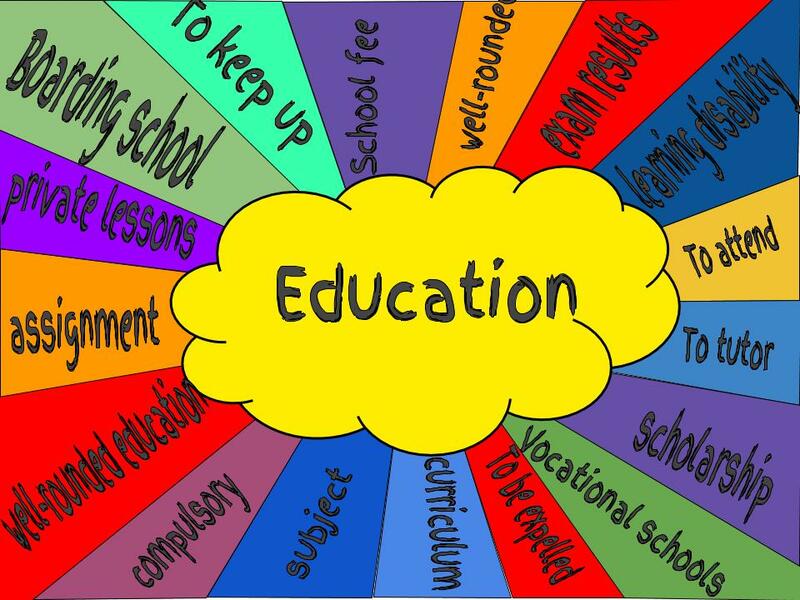 Our current system of education is now outdated and ineffective. Here’s a nice post I wrote last year which might help you. Lesson Plan: Are you a Risk Taker? These past few days have been hectic with lots of exams to be written and then marked, plus all that red tape I can’t stand involving end-of-term exams. To top it all, my old friend the flu decided to pay me a visit. Very timely. Right now, thank goodness, deadlines have been met and everybody seems to be winding down for the holiday season. Me, too. So, that’s probably going to be the last blog post of the year. 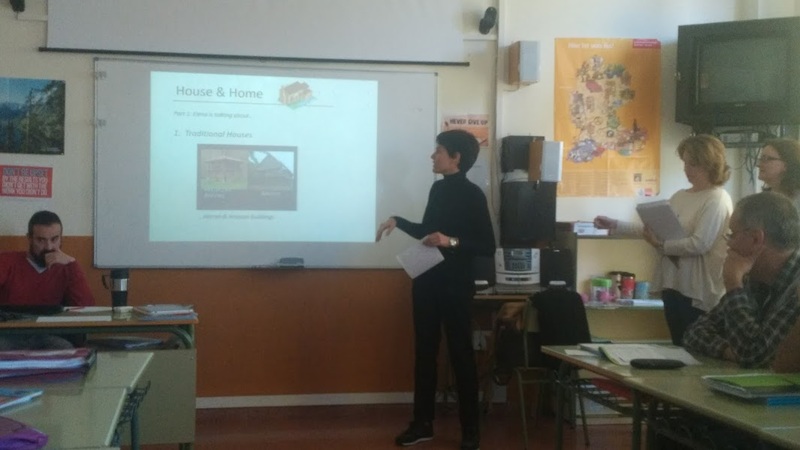 Aims: to encourage collaborative work by giving students the challenge of researching, selecting and presenting a project about unusual traditions around the world. 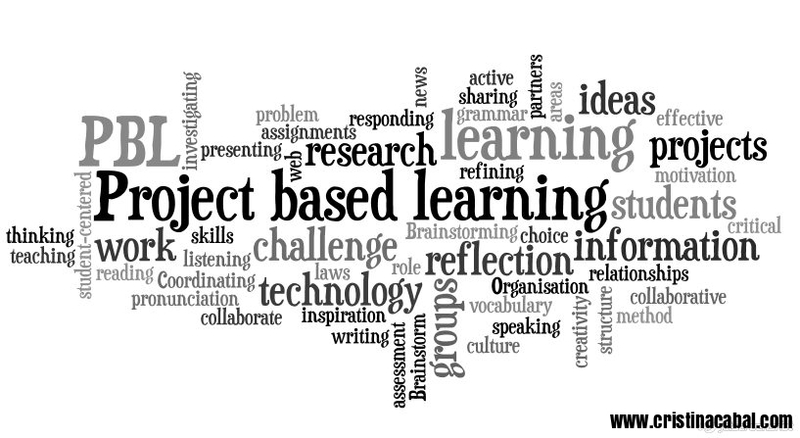 Project Based Learning- What is it? It is a student –centred teaching method in which students acquire knowledge and skills by investigating and responding to a complex question, problem or challenge. PBL is an active learning style which inspires and motivates students because they take an active role in their learning process and experience success in their own learning. The role of the teacher here is of mere facilitator and coach. In PBL students are encouraged to work in pairs or in groups, which is also good because it creates a friendly atmosphere which is a boost to their motivation and creativity. 1.Choosing the problem or challenge. For this project, students will be rising to the challenge of presenting information about unusual customs in the world. My classes are quite large so students will work in groups of 4 or 5. On the board the class as a whole decide on 4 or 5 areas, they want to talk about. There should be the same number of areas as groups you have. Each of these areas is assigned to a group to research. This step is done entirely at home with the help of an online collaborative free tool. My students are adults, some as old as 70, and they only see each other in class twice a week, so it was important to provide them with some kind of free online tool they could use to brainstorm ideas, share them with the members of the group and organize their project (timing, visuals, specific assignments..etc). I used a Padlet, a well-known collaborative tool, which is very easy to use, something really important as some adults are reluctant to use new technologies. Each group was assigned a different Padlet and given a week to do research on the internet and post on Padlet their ideas. Below is the Padlet the group”House and Home” used. This stage might take the first or last 10 minutes of your lesson. Once they have shared their ideas on Padlet, in class they decide on the number of traditions they are going to present, who is going to do what, the order in which they are going to present the information and the visuals or videos they are going to use. In the next class, allow students time to get together in their groups and share their drafts. Offer help and guidance but ask students to help each other by swapping their drafts within their group to improve and proofread their written work. Agree with the students on the order of the groups and let the show begin. Below is a picture of one of the groups on stage. Sharing it with the world is also important. Here’s how we did it. Again, we used a free online digital tool called Tackk.com, which allows you to beautifully showcase your projects. I gave my students this simple tutorial to help them get familiar with the tool. Here’s the tackk my students have created.